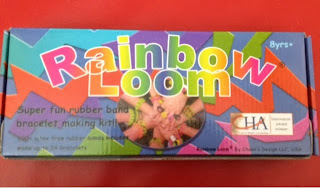 If you have a young girl I'm sure you have heard about the newest craze; the Rainbow Loom! For those of you who have been living under a rock, or are just not lucky enough to have it in your home, it is a plastic piece with pegs on it that you place rubber bands on. Placing rubber bands on it in different ways will give you different styles of bracelets. The suggested ages are 8 and up, so I was slightly skeptical that it would be too advanced for my five year old. Knowing Ashley though, I figured she would pick it out pretty quick. Some of her friends had received this infamous Rainbow Loom and had gifted her many colorful bracelets. 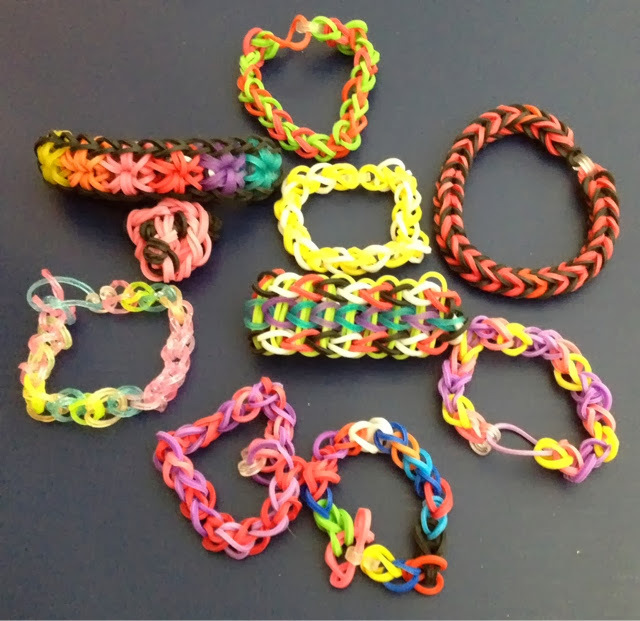 Rainbow Loom had peaked her interest, although she only knew it as "the bracelet maker." She was very excited when she unwrapped a present from Santa to find she had received one. She said, "Now I can make some for my friends too!" As soon as she opened the box, she was a bracelet making machine. True to her word, the first bracelets she made were for her friends. I looked at the directions so I could learn how to do it, in order to teach her. 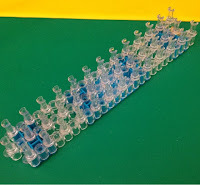 They were step by step picture directions that were easy to follow. She needed a lot of help in the beginning, since it can be slightly tricky for her age. 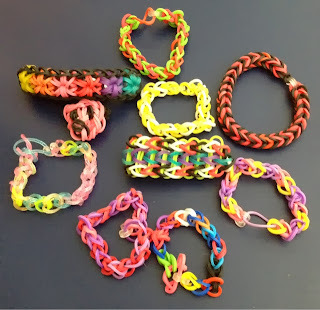 As each bracelet was finished, though, she was getting better and better. Now she rarely brings it to me for help. A week later we brought The Rainbow Loom with us to our friends house who have older girls. They were showing Ashley different styles that they have made, and then proceeded to make her some. I have to admit, I was very impressed. Some of these bracelets are pretty cool looking! The sunburst style is my favorite. One of the girls even made her a panda pendant out of the bands that she can attach to any of the bracelets! There are many YouTube videos to show all the styles. The book only comes with detailed instructions for two designs. I have heard the knock off brands are not as good. 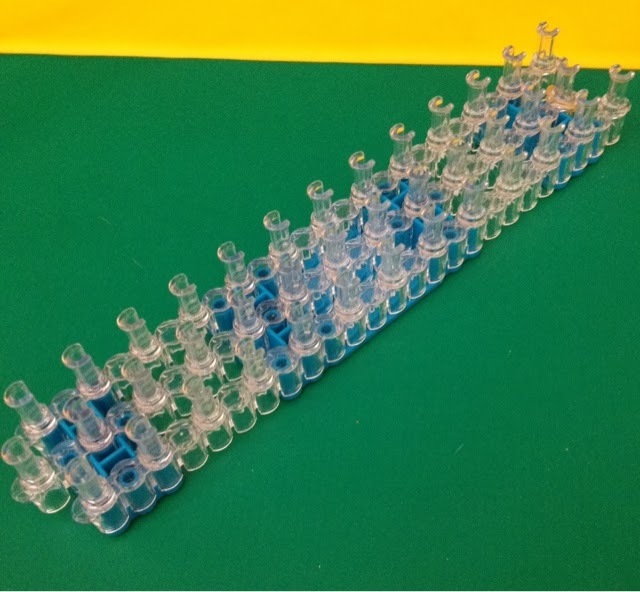 These imitation looms do not move around to make different styles and the plastics are cheaply made. I have not purchased one, or been able to use one, so I can not personally back up that claim. Also, I heard that the imitation rubber bands are cheap quality. I do not agree with this accusation. I bought Ashley some glittery bands off of Amazon that were not made by Rainbow Loom. They may have been a little thinner but they seemed to work just as well. Maybe because she's not doing all the fancy styles yet. Overall, we are very happy with it! The fact that she will go sit quietly and do it for 30 minutes or more is fantastic!!! What sites have you found with cool patterns? If you have any cool creations, post pictures in the comments below!